The following document is a proposed agreement based on the most common types of interfaces which retain and store data. It may be modified accordingly based on your software specifications. This website uses so-called "Social Plugins" provided by Facebook Inc, 1601 S. California Ave, Palo Alto, CA 94304, USA, Google Inc, 1600 Amphitheatre Parkway, Mountain View, CA 94043 USA (for the plugins of Google and Youtube), Twitter Inc, Folsom St., Suite 600, San Francisco, CA 94107 USA, Instagram Inc, 1601 Willow Road, Menlo Park, CA, 94025, USA and LinkedIn Corporation, 2029 Stierlin Court, Mountain View, CA 94043, USA. The plugins can be recognized by the logo of the respective social network. on the "Like button" or make a comment, the corresponding information is transmitted to the respective social network. If you are a member of one of these social networks and do not want them to collect information about you through our website and link to your membership information, please log out of the social network before visiting our website. OCNEX uses Google Analytics, a web analysis service of Google Inc. "("Google"). Google Analytics uses "cookies", which are text files placed on your computer, to help the website analyze how users use the site. The information generated by the cookie about your use of this website is usually transferred to a Google server in the USA and stored there. However, if IP anonymization is activated on this website, Google will reduce your IP address within Member States of the European Union or in other states party to the Agreement on the European Economic Area beforehand. Only in exceptional cases will the full IP address be transmitted to a Google server in the USA and shortened there. Google is certified under the Privacy Shield Agreement and thus offers a guarantee to comply with European data protection law (. We use on our website "Google Tag Manager", a service of Google Inc, 1600 Amphitheatre Parkway, Mountain View, CA 94043, USA (hereinafter referred to as: "Google"). Google Tag Manager allows us as marketers to manage website tags through a single interface. The tool Google Tag Manager, which implements the tags, is a cookie-free domain and does not collect any personal data itself. Google Tag Manager triggers other tags that may collect data. Google Tag Manager does not access this data. If deactivation has been made at the domain or cookie level, it will remain in effect for all tracking tags implemented with Google Tag Manager. Use of Facebook, website custom audience and Facebook marketing services. Due to the legitimate interests of OCNEx in the analysis, optimization and economic operation of the online offer, the so-called "Facebook pixel" of the social network Facebook, which is operated by Facebook Inc., 1 Hacker Way, Menlo Park, CA 94025, USA, or, if you are based in the EU, Facebook Ireland Ltd., 4 Grand Canal Square, Grand Canal Harbour, Dublin 2, Ireland ("Facebook"), is used within this online offer. Facebook is certified under the Privacy Shield Agreement and thus offers a guarantee to comply with European data protection law (https://www.privacyshield.gov/participant?id=a2zt000000000GnywAAC&status=Active). With the help of the Facebook pixel, Facebook is able to determine the visitors of this online offer as a target group for the display of ads (so-called "Facebook ads"). Accordingly, OCNEX uses the Facebook pixel to display the Facebook ads only to Facebook users who have shown an interest in this online offer or who have certain features (e.g. interests in certain topics that are determined by the visited websites) that OCNEX transmits to Facebook (so-called "custom audiences"). With the help of the Facebook pixel OCNEX also wants to ensure that the corresponding Facebook ads correspond to the potential interest of the users and are not annoying. With the help of the Facebook pixel OCNEX can also track the effectiveness of Facebook advertisements for statistical and market research purposes, in which OCNEX can see whether users have been redirected to this website after clicking on a Facebook advertisement (so-called "conversion"). The Facebook pixel is directly integrated by Facebook when all pages of this website are accessed and can store a so-called cookie, i.e. a small file, on your device. If you then log in to Facebook or visit Facebook when logged in, your visit to this online offer will be noted in your profile. 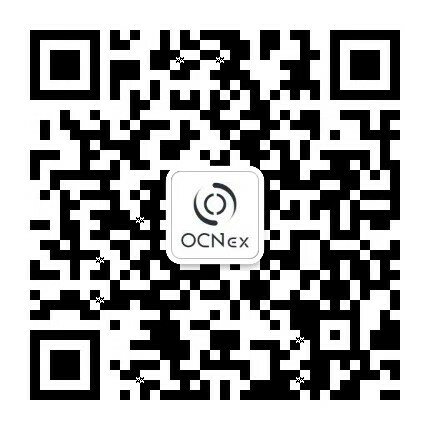 The data collected about you is anonymous for OCNEX, so OCNEX does not offer any conclusions about the identity of the users. However, Facebook stores and processes the data so that a connection to the respective user profile is possible and can be used by Facebook as well as for its own market research and advertising purposes. If OCNEX should transmit data to Facebook for matching purposes, it is encrypted locally on the browser and only then sent to Facebook via a secure https connection. This is done solely with the purpose of creating a comparison with the data that is equally encrypted by Facebook. Facebook processes the data in accordance with Facebook's Data Usage Policy. Accordingly, general information on the display of Facebook ads can be found in the Facebook Data Usage Policy: https://www.facebook.com/policy.php. For specific information and details about the Facebook pixel and how it works, please visit the Facebook Help section: https://www.facebook.com/business/help/651294705016616. On the basis of our legitimate interests (i.e. interest in the analysis, optimization and economic operation of our online offer within the meaning of Art. 6 para. 1 lit. f. DSGVO) the services of Google LLC, 1600 Amphitheatre Parkway, Mountain View, CA 94043, USA, ("Google"). Google is certified under the Privacy Shield Agreement and thus offers a guarantee to comply with European data protection law (https://www.privacyshield.gov/participant?id=a2zt00000000001L5AAI&status=Active). We use the online marketing process Google "AdWords" to place ads in the Google Advertising Network (e.g., in search results, in videos, on websites, etc.) so that they are displayed to users who have a presumed interest in the ads. This allows us to display ads for and within our online offer more specifically in order to present users only ads that potentially correspond to their interests. For example, if a user is shown ads for products in which he is interested in other online offers, this is referred to as "remarketing". For these purposes, when our and other websites on which the Google Advertising Network is active are accessed, Google directly executes a code from Google and (re)marketing tags (invisible graphics or code, also known as "web beacons") are integrated into the website. With their help, an individual cookie, i.e. a small file, is stored on the user's device (comparable technologies can also be used instead of cookies). In this file it is noted which websites the user visits, which contents he is interested in and which offers the user has clicked on, technical information on the browser and operating system, referring websites, visiting time and further information on the use of the online offer. network. This means that Google does not store and process, for example, the names or e-mail addresses of users, but processes the relevant data cookie-related within pseudonymous user profiles. This means from Google's point of view, the ads are not managed and displayed for a specifically identified person, but for the cookie holder, regardless of who this cookie holder is. This does not apply if a user has expressly permitted Google to process the data without this pseudonymisation. The information collected about the users is transmitted to Google and stored on Google's servers in the USA. This website uses the remarketing function of Google Inc. "("Google"). This function is used to present interest-based ads to visitors to the site as part of the Google advertising network. The visitor's browser stores so-called "cookies", text files which are stored on your computer and which make it possible to recognize the visitor when he or she visits websites belonging to Google's advertising network. These pages may then present advertisements to the visitor relating to content previously accessed by the visitor on websites that use Google's remarketing function. According to its own statements, Google does not collect any personal data in this process. However, if you do not wish to use Google's remarketing function, you can always deactivate it by making the appropriate settings at http://www.google.com/settings/adsvornehmen. For the integration of videos, we use the provider Youtube. YouTube is operated by YouTube LLC, headquartered at 901 Cherry Avenue, San Bruno, CA 94066, USA. YouTube is represented by Google Inc. based at 1600 Amphitheatre Parkway, Mountain View, CA 94043, USA. On some of our websites we use plugins from YouTube. When you access the websites on our website that are provided with such a plugin, a connection to the YouTube servers is established and the plugin is displayed. This transmits to the YouTube server which of our Internet pages you have visited. If you are logged in as a YouTube member, YouTube assigns this information to your personal user account. When using the plugin, e.g. clicking the start button of a video, this information is also assigned to your user account. You can prevent this assignment by logging out of your YouTube account and other user accounts of YouTube LLC and Google Inc. and deleting the corresponding cookies of the companies before using our website.